You are here: Home > Blog > Curb Appeal > Get more for your Home by Updating the Landscaping! Owning your own home is a wonderful feeling for property owners. However, time passes and some property owners will need to down-grade or up-size depending on their family’s needs. Maybe you are the type of person who needs to up-grade for a new job or you simply just want a new home. Whatever the reason, you will want to get the best possible price for your current home. There are many factors to consider when selling your home and getting the best possible price, the first, and foremost, is curb appeal. As in a previous blog “ Is Your Home Appealing to Potential Buyers?” you want your home to feel inviting to prospective buyers. More than half of lost home sales can be attributed to the first impression. Buyers will take a look at the outside of your home, and the grounds, and determine whether they will take the next step to enter and view your home. So, you want to make that first impression a very good one! Landscaping and gardening are the main areas to fix so you can produce the effect you are looking for. When buyers pull up to your home what do they see? A well-groomed home and a beautifully landscaped front yard - if you want to make a sale, Yes they are. If your home appears to be run down, the lawn is over grown and flower beds have not been weeded, you may lose out on a potential sale. Landscaping is one of the best ways to show off your homes beauty and charm. Neat a tidy flower beds with annuals and shrubs added or updated, can be purchased fairly in-expensively. If your flower beds need to be raised up add some toil soil and then some mulch, if needed, so as they can be seen from the road. If they are too low they will not make an impression and compliment your home. Remember to add the toil soil before you plant and new flowers of shrubs. Flowers will flourish in raised beds and make a focal point for onlookers. If you are creating new flower beds you will need to create a focal point - try a shrub or small flowering tree. Then add some colorful annuals and perennials that can be changed each year. Remember when adding to or creating a new flower bed “the rule of three”, do not over-do it. More does not mean more beauty, simplicity matters and you want to compliment your home not over-power it with color. Try to add plants and flowers that complement your homes’ exterior and continue these tones to the back yard as well. You will need to add at least one dramatic color, so why not add it in the landscaping. Depending on your homes’ exterior choose a color that is distinct and bold that will not create a contrast with your home. When you start any landscaping project create something on paper first. Start with your front yard and create a lovely curved walkway or flowerbed leading to the front door. Start at the road and work your way in; line the driveway and create a flower bed around a welcome sign or mail box. Visually build these flowerbeds and walkways in your mind and then on paper. This will help you determine what to buy at your local garden centre and allow you to budget and save some money at the same time. Your local garden centre will have many great ideas for shrubs, annuals and perennials. Try to add flowers that will bloom throughout the season. Some examples include: Tulip, pansy, iris and lilacs for spring; daisy, purple coneflower and lilies for summer and chrysanthemum, helianthus and autumn joy for fall. Great designs and colorful dreams will lead to great curb appeal. Your home’s backyard outdoor space should be considered as well when landscaping. When you design the backyard space, include landscaping around the patio and define yard space. Line the patio with beautiful blooms, shrubs and most importantly add some soft lighting to create ambience. If you have a fenced yard create flower beds along the fence and add stone statues with flowering trees and mulch. Add fragrant and colorful blooms and larger flowering trees; the trees will help create shade from the summer heat. If you feel rambunctious try placing a water fountain or small fish pond with a waterfall, these items can be put it quite cheap if you do it yourself. If you keep it simple, you can afford these upgrades and create beautiful landscaping projects to help in the sale of your home. 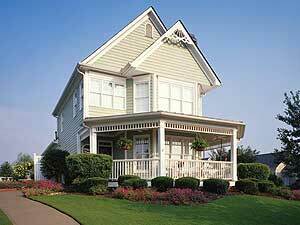 So, if you are thinking of selling your home, check out your landscaping and update by adding some color and charm!